The goal with this e-book is to do more than describe CoQ10’s mode of action and summarize its most important research. The CoQ10 Association wants to demonstrate the ingredient’s utility to the entire population—and how its inclusion in supplements benefits everyone’s health. In this e-book, you will learn the health benefits of Coenzyme Q10 (better known as CoQ10), how CoQ10 works with statins, what the experts say, how to get the CoQ10 you need in your day-to-day life, the retail market for CoQ10 and more. 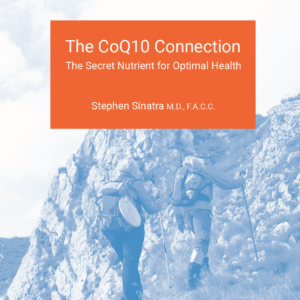 Submit your email address to receive our free e-book, "The CoQ10 Connection: The Secret Nutrient for Optimal Health," authored by Stephen Sinatra, MD FACC and brought to you by WholeFoods Magazine and CoQ10 Association. Downloading our E-Book also gives you access to our email updates for exclusive offers, CoQ10 news and upcoming events.